Andrew Gerard Dawson was born in Huddersfield, West Yorkshire. He is a director of H. Dawson Wool Company, which was founded by his grandfather in 1888 in Bradford, West Yorkshire. Andrew was brought up in Huddersfield and Nidderdale, North Yorkshire. At eight years of age, as soon as his legs were long enough to put the clutch to the floor and reach the footbrake of a Massey Ferguson MF35 tractor, he rolled, harrowed and disced many acres of grassland. Health and Safety today would not be impressed. He was educated at Arnside, Westmorland and Shrewsbury School, Shropshire. In 1962, after a two-year course at Leeds University on Wool Textile Management, he requested permission to join the family Wool Company. He was the third generation of Dawsons who worked in the company. As part of his training he was sent for one year to work on the wool-sorting floor of Airedale Combing Company in Shipley, which was owned at the time by Lord Barnby. Early in 1964 he went to live in Italy for experience in the Italian wool industry. He opened a Wool office for the Company in 1965 in Biella, Piemonte, supplying U.K. wool for the Italian wool mattress trade. There were also many Woollen and Worsted manufacturers located in Italy and suppliers of Italian wools suitable for UK and Overseas customers. Andrew returned to the U.K. in 1966. Feeling that the market was moving East and West he furthered the development of outlets for the Company to sell wools from all origins into new markets and for the Company to buy wools of different qualities from those same markets for worldwide sales. During this period, he regularly visited over 40 Countries including Iran, India, Japan, Russia, and China, culminating in 1993 with the opening of a permanent office in China. This was twenty years after first travelling to China in 1973, arriving a month after President Nixon’s Ping-Pong Diplomacy. In 1968 he married Ann. They lived and ran a 300 acre 800ft hill sheep and beef farm at Menwith Hill, Harrogate. After 35 years together, he lost his wife to Leukaemia. They have three children and five grandchildren. In 2006 he married Gill, a friend since they went to the same nursery school in Huddersfield. 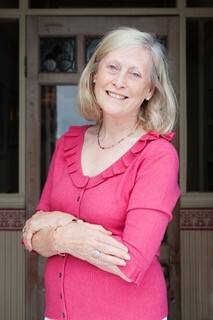 She has three children and her son, George Crowther, is also a Liveryman of the Worshipful Company of Woolmen. She has ten grandchildren making a combined total of fifteen grandchildren between the two families. Gill and Andrew live in Appletreewick, Wharfedale. He still enjoys travel and all forms of sport and the chance to meet many cultures and personalities. He is a life member of Yorkshire C.C.C. and a member of the Yorkshire Cricket Taverners. Retirement came in 2012, after 50 years in the Wool Trade. 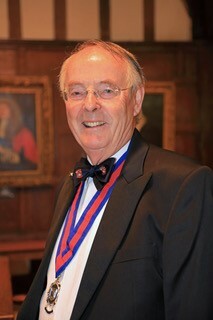 He joined the Worshipful Company of Woolmen in 2007 and has been involved with the Charity committee of the Company. Gill will be his Consort during the year in office.